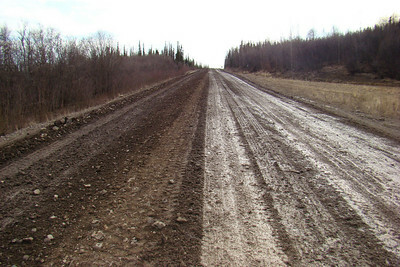 Photos depicting scenes anywhere near and north of MP30 to just south of MP40. NOTE: Most of these photos were uploaded at full resolution. To see maximum detail, do a mouseover of the photo, and when the menu choices appear along the right hand side, choose "ORIGINAL". 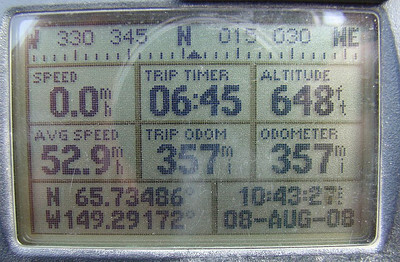 MP30 N65.71592, W149.22131, Elevation: The fact that the GPS is reading .6 miles over the original 30 is due to the by-pass north of Mile 18 adding .6 mile to the total distance in avoiding the previous treacherous drop down to Hess Creek. 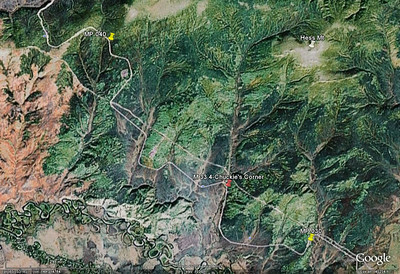 Google Earth shows lots of streams draining the hills to the northeast of the Dalton, but fails to reveal the many sharp corners at those crossings unless you zoom in very close. 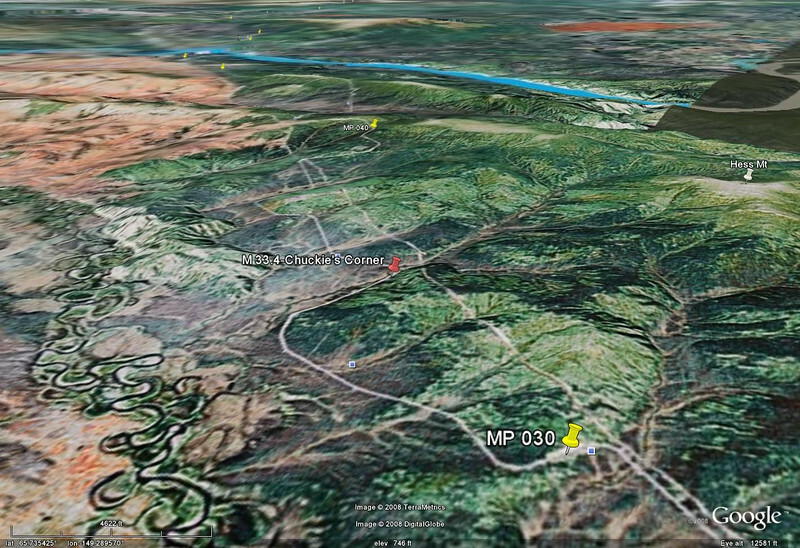 Even then, they don't look as bad from the air as they do from the seat of a motorcycle. 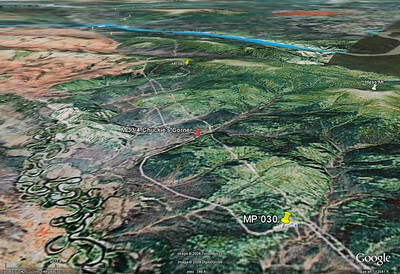 Again, Google Earth can only give a hint of what the terrain looks like, but is worth checking out prior to a trip up this highway. 5/11/08 5:34 PM - At MP30 facing north. At Milepost 30 facing south. 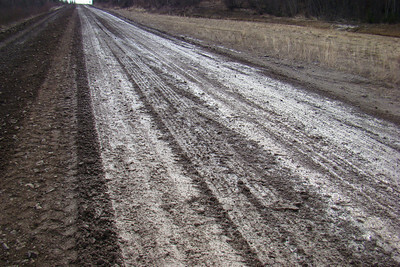 Again at Milepost 30, a closer look at the road surface as it undergoes "maintenance" grading. 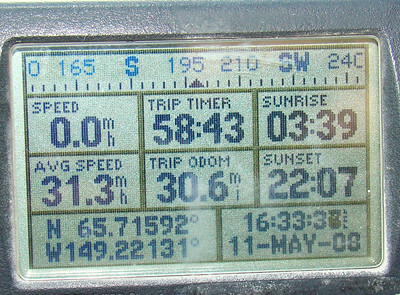 5/11/08 5:56 PM - Facing southbound at Mile 33.4. 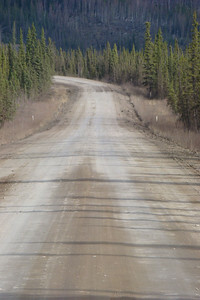 Just a little way farther north is what is called "Chuckie's Corner" at Mile 33.8. 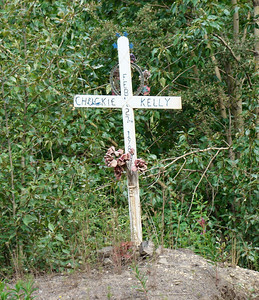 There is a cross on the west side of the road just prior to entering the curve memorializing Chuckie Kelly, who died there in 1982. 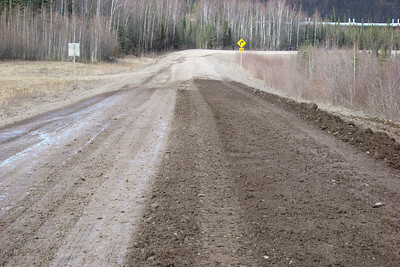 This is the location, at approximately Mile 33.4, of "Chuckie's Corner" the site of a fatal accident in February, 1982. This cross marks the spot where Chuckie Kelly met his end, February 27, 1982.